The tradition of Sunday Supper will last a lifetime. I know this from personal experience. Growing up, dinner in general was an important meal. We sat down as a family each night at 6 p.m. Sometimes we talked about the day, at other times it was about politics, sports…whatever. 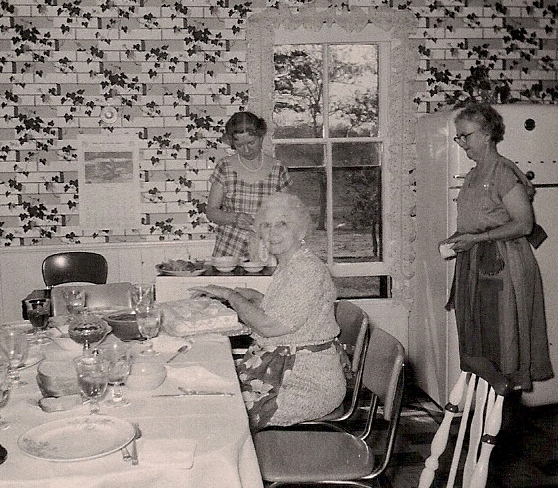 Those meals consisted of simple fare easily prepared after a busy day. However, Sundays were different. Dinner was around noontime, just after church. Most of the time it was at home with just my parents and sister, but sometimes we enjoyed the meal on the farm with Mamaw and Papaw. Often the entree was a pot roast with potatoes and carrots that had simmered on the stove while we were at worship. 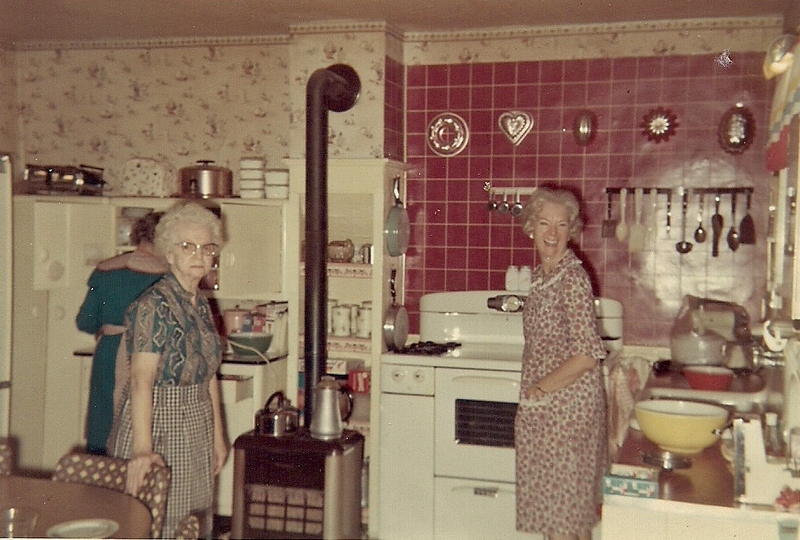 Sometimes Mom would cook macaroni in the rich beef broth as a side dish…one of my favorites! These meals were more elaborate that the weekday version, including dessert! Since those early Sunday Supper days, the tradition of preparing a special meal to start the week has stayed with me. Even when I was single, I would feel the need to cook something special on Sunday and then freeze the extra to have during the week. 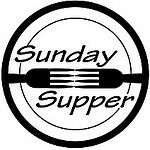 Today Sunday Supper often means going out to dinner with my sister in-law and her husband, along with any of my husband’s siblings, nieces or nephews that want to come along. Sometimes we invite people over for a homemade meal. At other times, dinner is just a special meal for the two of us. The companionship and togetherness are as important as the meal itself. Center stage throughout a lifetime of Sunday Suppers is still pot roast. It's the meal my husband requests the most and is guaranteed to satisfy the need for food and comfort. My recipe is based on one I found in Ree Drummond’s The Pioneer Woman Cooks cookbook. Unlike the ones made by Mom and Mamaw, mine is made in the oven, baked in a low and slow method that results in a tender and flavorful dinner. Not to mention the wonderful aroma that fills the house while it cooks. Take the time to make Sunday Supper a priority in your home, whether it’s for a group or just yourself. It can offer comfort to start the week and memories that last a lifetime. Adapted from The Pioneer Woman Cooks by Ree Drummond. Preheat the oven to 275 degrees. Heat a large Dutch oven over medium-high heat. Add oil, and then the onion halves. Brown on both sides, and then remove and set aside. Do the same to the celery and carrots, just cooking until slightly caramelized, and then remove and set aside with the carrots. Pat both sides of the chuck roast dry with paper towels, and then sprinkle with salt. Add more oil to the pan if necessary, and then add the chuck roast. Sear on both sides until brown, about a minute per side. Remove and set aside with the vegetables. Deglaze the pan with the beef broth, scraping up the brown bits from the bottom. Place the roast back into the pan, and then add the vegetables. The broth should cover the meat halfway. If not, add more stock or water. Add the bay leaves, thyme and black pepper. Cover the pot and place into the oven. Roast for 3 to 5 hours, until the roast is tender and starting to fall apart. (In my oven, a 3 pound roast takes about 4 hours.) Remove the meat to a cutting board to cut. Then place the roast and the vegetables onto a serving platter. Skim the fat from the broth in the pan. In a small bowl, whisk together 1 to 2 tablespoons of flour with cold water to create a slurry that pours like cream. Pour some of the slurry into the broth and bring to a boil to create gravy. Add more of the slurry to get the desired thickness, but know that the mixture will not reach its full thickness until it comes to a boil. Dear Linda, This is such a nice post. Sunday was always a special meal growing up for me too and it was always early in the day. Weeknights were as yours simple but always gathered at the table. I enjoyed the pictures too. The pot roast sounds real good. However, Pot Roast was usually our meal for Wednesday dinner. When others were celebrating "Prince Spaghetti Night," our family was sharing a Wednesday Pot Roast Dinner with leftovers on Thursday and then fish on Friday! That's exactly how things went at our house. We'd have pot roast every single Sunday after church. My mom would put the roast in the oven before we'd leave for Sunday School and we'd all gather after church for the pot roast meal. To this day I love making this for Sunday Dinner. This pot roast sounds like the perfect Sunday Supper meal! So comforting. Total perfection!! I haven’t made a pot roast in such a long time…you have just inspired me! !